Sarah Mineko Ichioka is an experienced leader, bridge-builder and place-shaper whose diverse portfolio includes high-profile management, strategic planning, consultancy and curatorial work for some of the world’s most respected institutions of culture, policy and research, including the LSE Cities Programme, La Biennale di Venezia, Tate Modern, New York City's Department of Housing, and Singapore's National Parks Board, where she recently served as a Research Fellow of the Centre for Urban Greenery and Ecology. 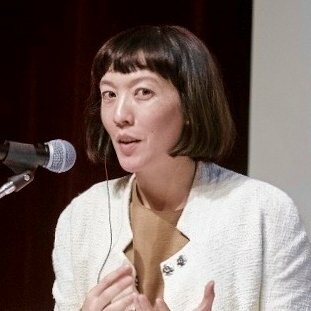 Before relocating to Asia in 2014, Ichioka was Director (Chief Executive) of The Architecture Foundation (UK) for five years. She currently leads Desire Lines, a strategic consultancy for environmental, cultural and social-impact organizations and initiatives. Born and raised in the Bay Area, Sarah was educated at Oakland and Berkeley public schools, Yale University, and the London School of Economics. She has been honored as one of the Global Public Interest Design 100, by Honorary Fellowship of the Royal Institute of British Architects, and the British Council / Clore Foundation's Cultural Leadership International Fellowship.